London – 20th April, 2017. Fresh from announcing their 11-city UK and Ireland tour earlier this week, Queen + Adam Lambert today announce a second show at London’s O2 Arena, due to overwhelming popular demand on Wednesday 13th December. The first O2 show on 12th December sold out during the ticket pre-sale making it “one of the fastest selling shows of the year at the O2” according to the venue. The band will play the series of dates as part of their extensive European tour in late 2017, including 13 arena concerts in the UK and Ireland, showcasing a spectacular new stage production and a set list that the band hints will provide some surprises for fans. The UK and Ireland tour will kick off in Dublin on 25th November. They will then perform in Belfast the following day, reaching mainland Britain on 28th November to play Liverpool’s Echo Arena. More dates follow in Birmingham, Newcastle, Glasgow, Nottingham, Leeds, Sheffield and Manchester, climaxing with three huge London shows. Tickets will be on general sale from tomorrow, Friday 21st April, 10.00 am. The tour is presented by Phil McIntyre Entertainments. 2015 proved a logistically challenging year for the band with 24 more sold-out dates in 10 countries right across Europe, a return visit for Queen, this time with Adam, to South America, to headline Brazil’s Rock in Rio, and again performing in Argentina, as well playing in Chile. 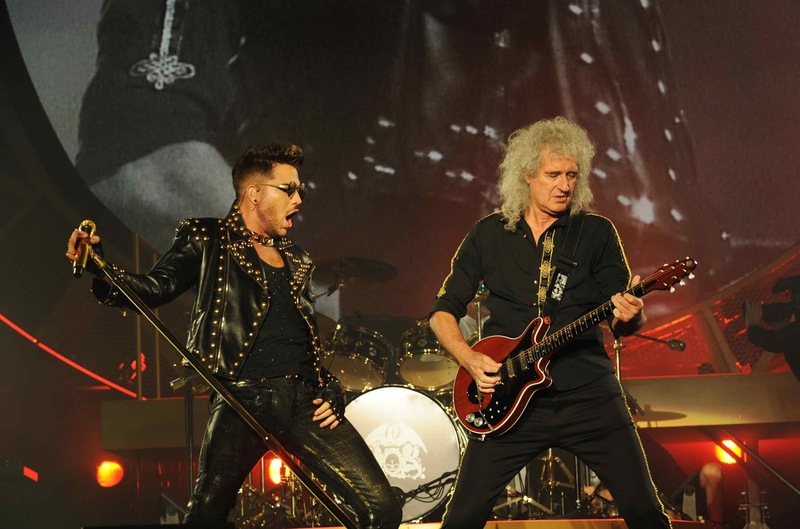 Summer 2016 saw Q + AL headline 15 more European festival shows beginning with Portugal’s Rock in Rio Lisbon, where they played to 74,000 people on opening night, followed by an extensive arena tour across Asia including three nights at Tokyo’s famed Budokan. The earlier leg of Queen + Adam Lambert’s Europe 2017 dates sees the band open their tour in Prague, Czech Republic on 1st November and then play further shows in 12 countries across the continent.